I Found Your Christmas Present! A very special THANK YOU to Mike Beeson, the talented filmmaker who put together this trailer. 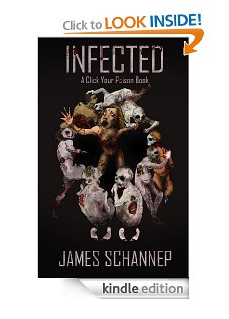 Yes, INFECTED is now out in paperback. I know I said it would be out for Thanksgiving, but I wanted to make the announcement when I released this spot. The more astute of you may have noticed that the paperback has been linked to the Amazon page for a couple of days now. Now go bring some Christmas joy to the zombie lover in your life and Get INFECTED!